Thanks, Alexa. This was taken at the end of a trail in my town. These views never get old! Alexa, I think this has sold me on going up to visit Jennifer this summer. Are you in??? Jen, you’re OK with that, right??? And this is nothing, as far as scenery goes in Maine! You are so invited, Chris! The four of us would have so much fun together! Oh, Cyndi. You would adore Maine! Gorgeous! Makes me miss being in Maine! This is the time of year I realize why I live in Maine and how lucky I am to be here! I used to go to Old Orchard Beach every summer when I was younger. 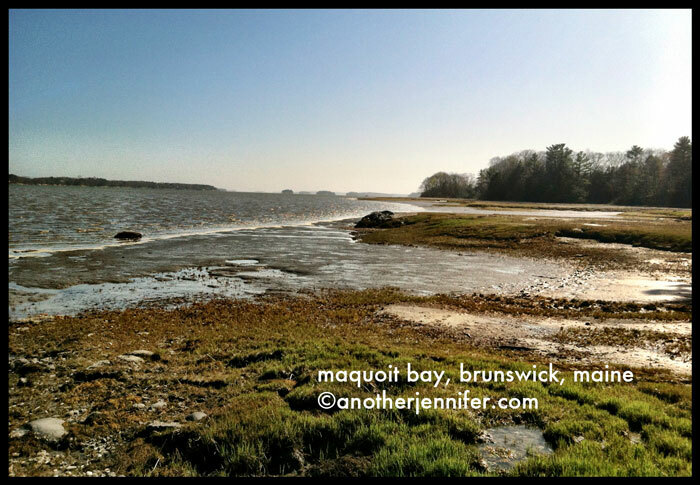 I love Maine and your photo. Happy WW! Oh man, you’ve got to come back and visit the rest of Maine. OOB barely scratches the surface of what Maine has to offer! It’s been raining so much here in Virginia that it’s gonna look like that soon. Ha! We could actually use some rain. We had a pretty dry April! thedoseofreality recently posted..We’ll Take Instant Heart Attack for $1000, Alex! Beautiful capture, I’ve been to Maine twice and it is one of my favorite states to visit! Thanks for sharing this…beautiful pic and beautiful perspective! Pretty! I haven’t been to Maine in years. Come on up. There’s always something to explore here! Great photo! I love that area! Definitely worth the trip. No better place to be in the summer! Gorgeous shot! One of these days, I’d like to make it back to Maine. Haven’t visited since my childhood. Happy Wed! Happy Wed to you! You should definitely come back to visit. I find new places to explore in this state on a daily basis! Thanks, Rebecca. It’s spot in town we recently discovered. You never know what you’ll find on a hike! I love this. I’m from Maine too-so I especially love this. But maybe I told you that already??? Thanks for sharing! Awesome. Am I thinking correctly that you are from the Saco area? Winter Harbor-by Acadia National Park. Bar Harbor right across the water. We moved away when I was in junior high. Ah, yes. The exact opposite direction! I remember now. We’re hoping to camp up in Acadia this summer. Love that area! So glad you joined me for Wordless Wednesday Bloggers at our permanent home on The Jenny Evolution. Silence may be golden, but I hope you’re making some noise this weekend. Jennifer recently posted..Received The Beautiful Mama Blog Award!